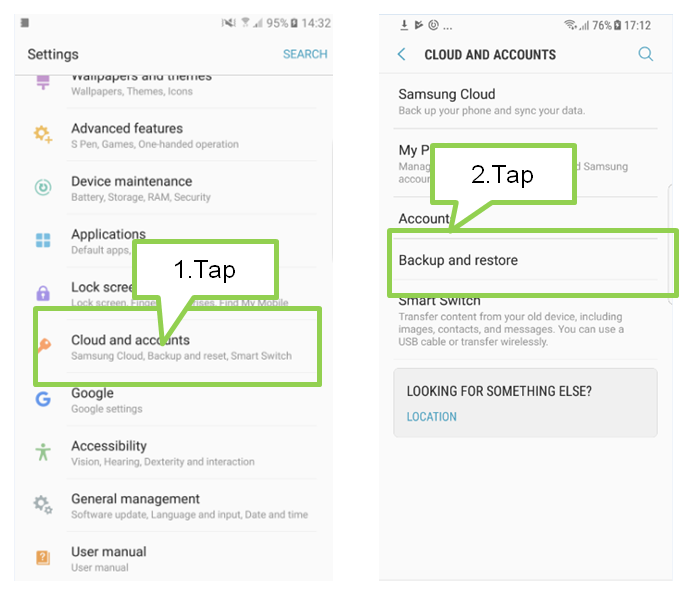 How can I back up data on my device to prevent data loss? Keep your personal information, app data, and settings safe on your device. You can back up your sensitive information and access it later. 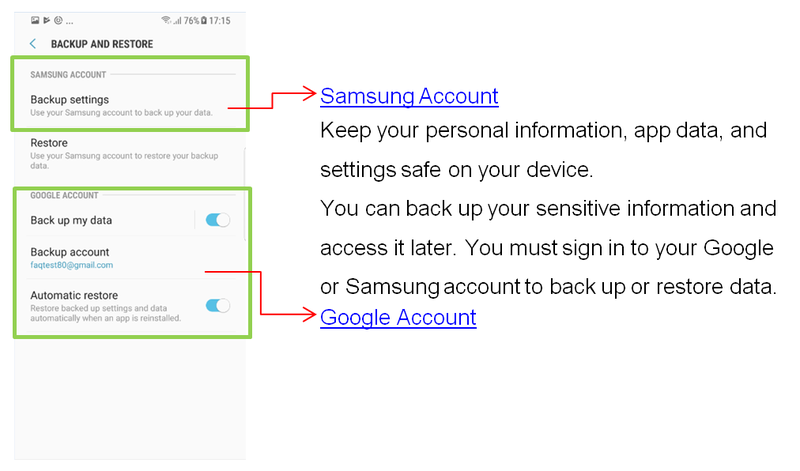 You must sign in to your Google or Samsung account to back up or restore data.